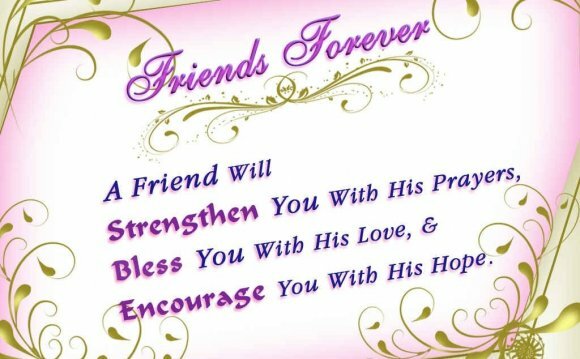 Looking for a Friendship Card Message With a Christian Sentiment? You may translate the friendship verses into your own language when using for your homemade cards - making sure the translation is 'accurate' though. But if you are using the 'Google translator' tool I've placed on my site, you will need to check the accuracy of the translation on the Google translate web page, as it may not have translated correctly - and even then you may need to copy and paste the English version line by line (as well as check the odd word for meaning and context) to get it 'more accurate' as Google's translate web page isn't completely accurate either. I'm sorry that it may take longer if you want the friendship verse in your own language, but it needs to be correct because if it isn't, it will lose its meaning. Machine translators can never be as accurate as a human translator, so please do check! If you want to send this page to a friend, click on the 'Share Us With A Friend' button after the last verse - or if you want to contact me, click on the 'Mail' button below. Strengthens the bond that’s shared. I have placed the above poem on a picture background of a puppy pencil sketch my son did - in fact, the poem was specifically written for the sketch, but I thought it could also be used for a friendship card :-). The picture is available on my Facebook page - Friendship Poem. Becoming stronger each new day. And whom I was praying for. In Christ until the end. My mentor and my friend. So faithful and so true. We will say a prayer for you. And had been praying for. Our mentor and our friend.